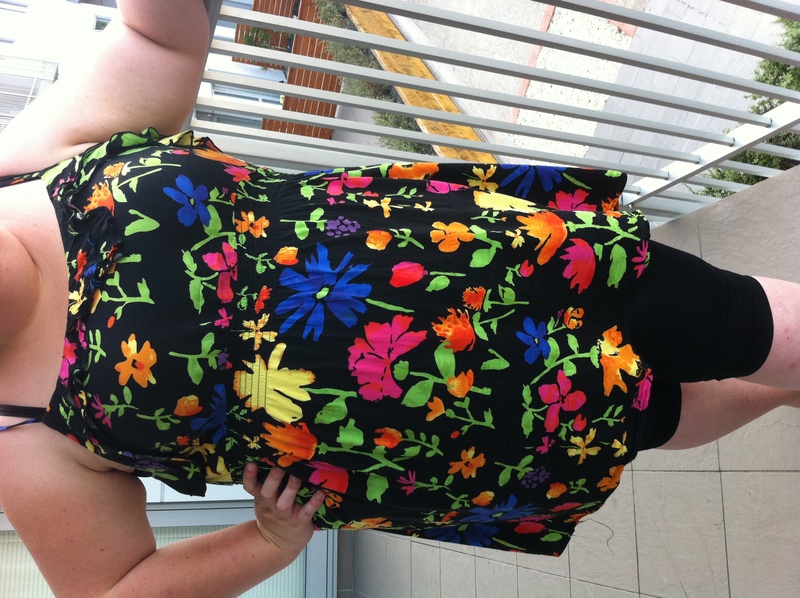 Today was pretty hot and muggy, so I decided to go with my super summery dress (with leggings). I got it from a shop called Caroline Eve. Not sure if they are throughout NZ, I’ve only ever been to them while in Hawke’s Bay, but they have some decent stuff. It’s so pretty and bright. It doesn’t give you that “ugh, I’m wearing too many clothes” feel either. Perfect for going for a walk to the mall, along Takapuna beach and eating an ice cream. In which the messy child in me dripped ice cream on my dress, but I hope you can’t notice that. Oh, and yay for empire line! Sort of.